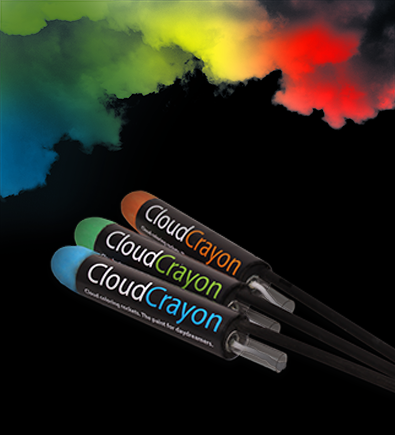 The CloudCrayon is a rocket, similar to fireworks, able to paint the sky above us. Combining cloud seeding techniques with nanotechnology, CloudCrayons can change the colour of clouds. This product could be used for festivities, national anniversaries, advertising, or just to lighten up a gloomy weather. Let the imagination fly: green, blue, orange, pink, red, yellow clouds, the sky’s the limit!